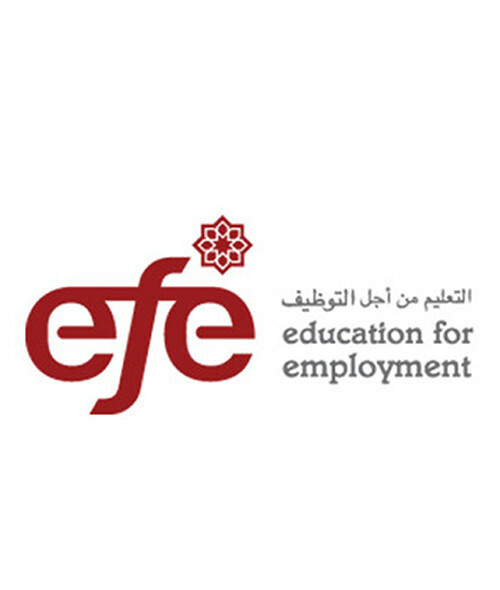 EFE reached a new youth employment milestone where over 1,000 companies in the MENA region - from major multinationals to small and medium-sized enterprises - employ EFE graduates. EFE’s early success and rapid growth have been made possible by its network model that builds locally-run, independent affiliates throughout the region and connects them to resources, systems, and expertise through organizations in Europe and the United States. From the start-up of programming in Palestine and Jordan in 2006, the EFE Network has grown to include new local affiliates in Egypt, Morocco, Tunisia, Yemen, and a sister foundation in Europe. EFE has received growing recognition as a leading innovator in crafting youth unemployment solutions. At the 2012 World Economic Forum (WEF) Meeting of New Champions, EFE Founder & Chair Ron Bruder and President & CEO Jamie McAuliffe were recognized as Global Social Entrepreneurs of the Year, by the Schwab Foundation. In addition, EFE has received visibility through TIME Magazine’s 100 Most Influential List, and at Davos and regional WEF meetings, the Clinton Global Initiative, United Nations and other international forums.